Two years after its debut in 1988, America's Most Wanted helped recover its first missing child. After 5-year-old Nicole Ravesi was kidnapped from her Massachusetts home, AMW threw its weight behind the manhunt for her suspected abductor, 24-year-old Kenneth Cole (not to be confused with the fashion designer of the same name), who had allegedly become obsessed with the child while babysitting her. 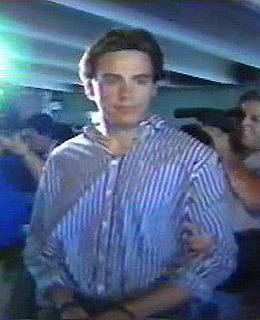 The program featured three separate reports on the Ravesi case, broadcasting photos of Nicole and her kidnapper. Within days, police and the FBI received hundreds of calls reporting sightings of Ravesi and Cole along the East Coast, which eventually led to her safe recovery in a small Florida fishing town 39 days later. AMW's assistance in Ravesi's return was a widely reported coup for the relatively new program; since then, the show has been credited with reuniting more than 100 abducted children safely with their families.